It’s been over two years since we blogged about “Do Not Track” regulations, and the pendulum has been swinging in favor of those who want to impose Do Not Track laws upon businesses. 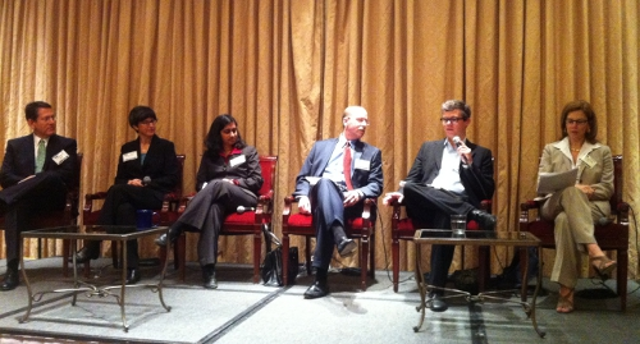 Earlier this week, we attended an event in Washington, DC regarding data and privacy, organized by Biznow. Chris Wolf (@PrivacyWolf) and Marcy Wilder, Partners at Hogan Lovells, moderated a stellar panel of experts that included Maneesha Mithal, Associate Director, Division of Privacy and Identity Protection at the Federal Trade Commission; Stuart K. Pratt, President and CEO of the Consumer Data Industry Association; Justin Brookman, Director, Project on Consumer Privacy at the Center for Democracy & Technology (CDT); Jane Horvath, Global Privacy Counsel, Google; Hooman Radfar (@hoomanradfar), CEO and Co-Founder of Clearspring; and Robert Quinn, Senior Vice President- Federal Regulatory and Chief Privacy Officer at AT&T. Since the last blog post on this subject, the FTC held a public round table on consumer data privacy and in December of last year reported on the over 450 formal comments that were received. The FTC plans a another report to be finalized before the end of 2011. Ms. Mithal said that while this report will focus on the B2C ma rketing world, she could not predict as to how this would affect the B2B marketing world. While both disciplines are using behavior marketing to determine advertising and content, there are many issues such as data warehousing and security. Given that consumers do not like to hear stories of data breaches and stolen identity, not to mention plain old “intrusion,” it is more likely that the FTC may be pushing the US Congress to come up with laws that protect consumer privacy and not so much as limit what a marketer does with personal information, but rather how it discloses its use of the that information to the consumer in an understandable way, as well as being more sparing about how much data is necessary for collection, and for how long that data needs to be retained by the marketer. Mr. Radfar opined that several years ago what were initially legal issues are now critical, strategic issues for organizations. Startup companies will be particularly vulnerable to the regulatory and legal costs from the onset because now these processes will have to be built into an organization. Ms. Horvath basically agreed, citing the conflict between organizational innovation and consumer privacy. She believes that “privacy by design,” built into products, will help an organization avoid the costs of adding privacy processes and technologies as an afterthought. Since we’re B2B, we posed a question about where do you draw the line nowadays with 24/7 workers in a blurred home/office scenario: A person forwards an emailed webinar invitation from their business smartphone to their work laptop, registers for a webinar on the laptop, watches it a few days later on their iPad, and a couple days later watches it again from their home computer. The consensus was that this “blur” may make it more difficult for B2B marketers to conduct precise “one-to-one” marketing. What should be tracked and what should not? Does a B2B professional on the buying side worry about “Do Not Track” as much as they might worry about it when they’re home browsing the web for personal reasons or fun? The issues of “Do Not Track” are going to get more serious. As much as we want Marketing Automation to help us find better quality leads and deliver the right content to the right people, there is probably not going to be a wide open space on which to do so. Prepare for limitations.